This extraordinary book provides the ‘reader’ with two pencils, a red, and a black, and a marker pen attached to the side of the spiral binding, but no rubber. I don’t on the whole like spiral bindings, they are prone to pulling the pages apart, and are not easily kept in a pocket, without the spiral un-spiraling and catching on the cloth. This however, is the exception. I want a copy of this book. One day I might buy myself one, if no-one else does first. 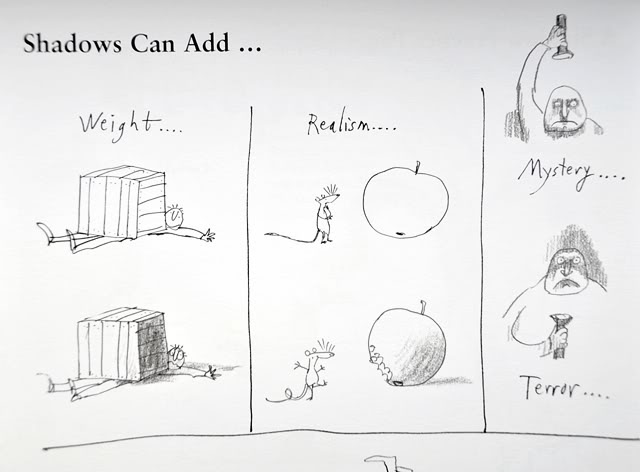 It is a book that explains about how to draw – using Quinten Blakes gorgeous illustrations to show how perspective works, how to use shading, how to draw people standing, sitting and how to do many other technical things. It begins with an explanation about the lack of a rubber and they have included a box in which criticism of your pictures should be noted. The box is approximately two millimetres by two. 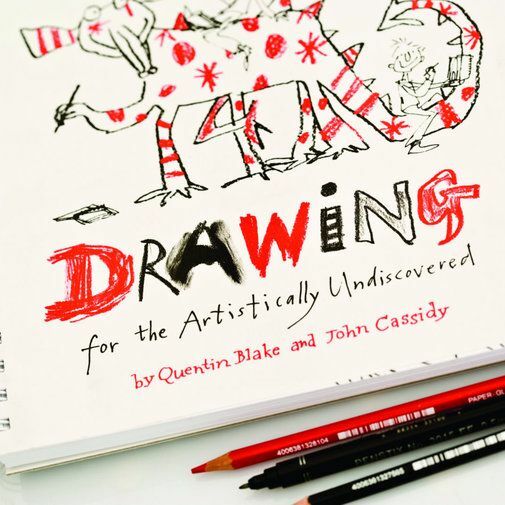 Buy it and work your way through – it is an activity book that will result in your not only having spent a good hour, or two, or more happily sketching – but also will show you to draw and that will last forever.